Malta village feasts photos bring you a highlight of the many feast celebrated on these islands. 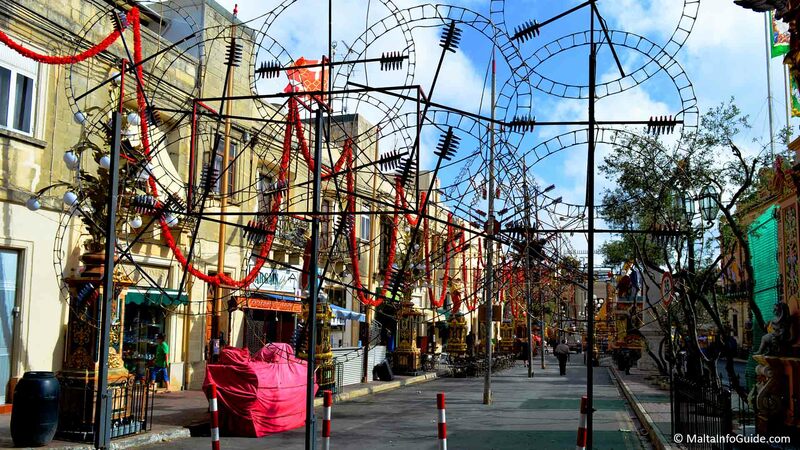 All through the year village feasts are celebrated in Malta and Gozo. In every village and town the parish church is dedicated to a specific saint. The frequency of village feasts start increasing from April up to the month of September. The busiest months are from June to August. Every year a feast is celebrated spread over a number of days before the final feast day on Sunday. On this day a procession with the statue of the saint is carried on shoulder with the participation of the village band clubs. The procession leaves the parish church and passes through various decorated streets of the village. 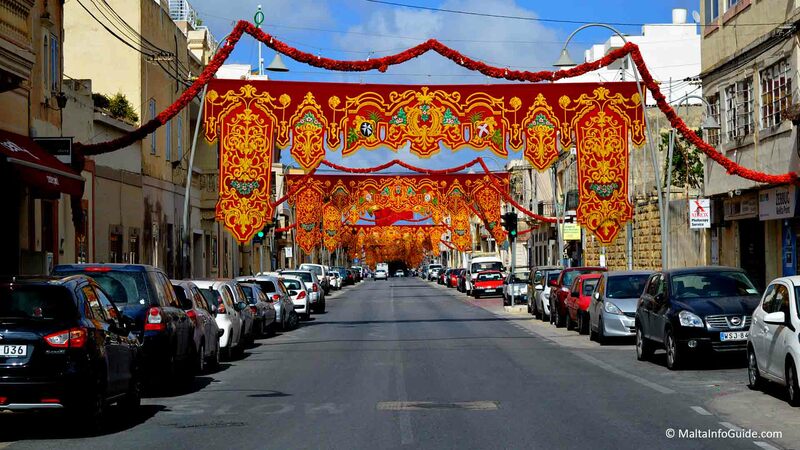 The village feast is the Maltese religious cultural way of life. It is in us to celebrate loudly, pray, celebrate the greatness of a saint. The villagers do their utmost to do a grand feast although there is a lot of rivalry between villages for quality of decoration, fireworks, and all that makes the feast what it is today. 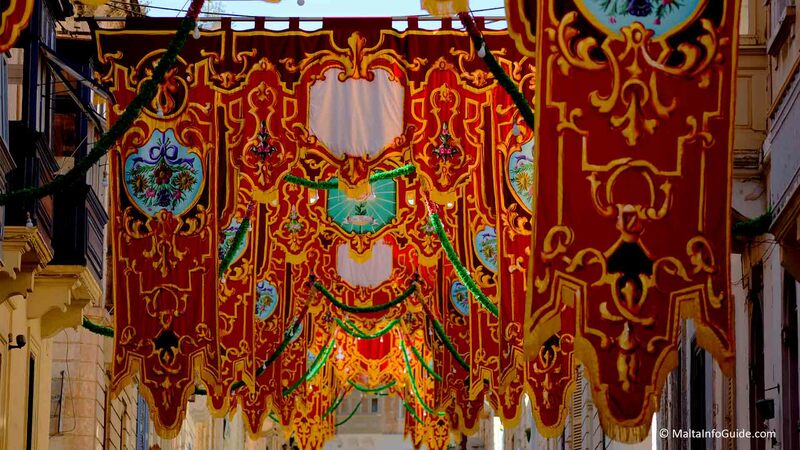 Mostly in Gozo you find luminous decorative designs hanging consecutively along the main streets leading to the parish church. They create a festive atmosphere. We had the opportunity to take photos during the Kercem feast. It is known for the quality of decorations. Late in the evening they are lit up and they create a festive effect with other decorative as can be seen in the photos below. It is the tradition that the village people stay outside of their house sitting on chairs. This is a tradition that many Gozitan sit outside their houses to watch what is going on outside. Many people go through the expense of buying new clothes and looking good for the celebrations of the feasts. Some of the houses are decorated with the village patron saint statue or picture and lit up to show their devotion towards the saint. 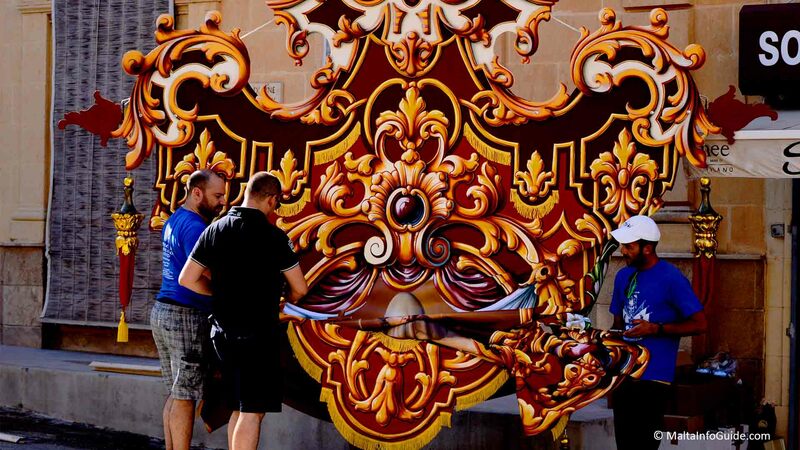 The facade of the Beland Band Club in Zejtun decorated during the feast of Zejtun with colorful ornamental decorations hung on the facade. The club has various sections within the youth members where they they are responsible for the decorations throughout the feast days. 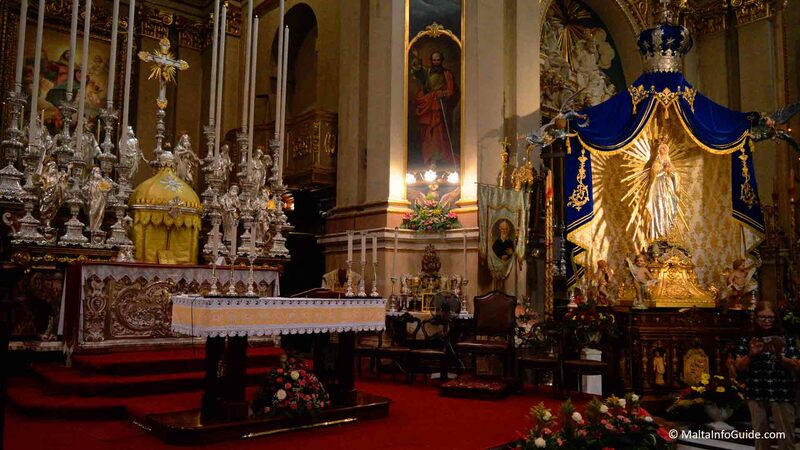 The Sliema Sacro Cuor parish celebrates the feast of Our Lady Star of the Sea. One of the decorated streets with large red banners hanging from one side to the other of the street. Each one of them has elaborate yellow drape design sown over the main drape and painted with colourful decorative artworks. Within the parish church of Qrendi shows the main altar decorated with the best ornaments. On the right side the statue of Our lady of Lourdes standing on the pedestal. 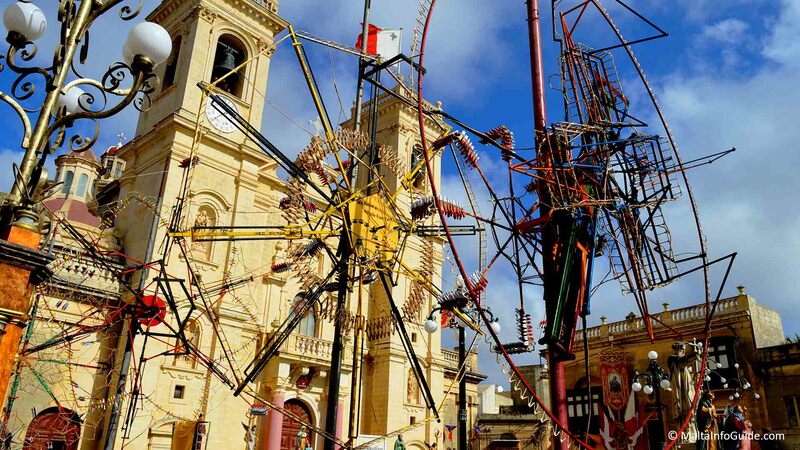 The photo shows Saint Joseph fireworks of Zebbug in Malta displayed for the evening show held on Saturday the day before Sunday fest day which is held in August of each year. 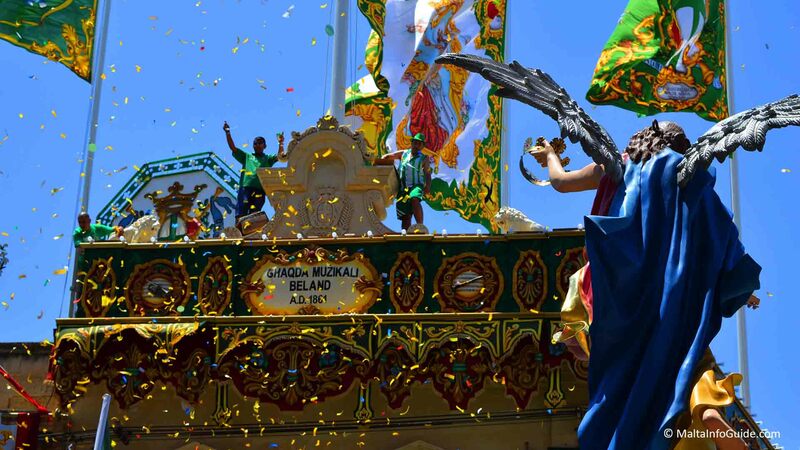 This is the secondary feast and the main is dedicated to Saint Philip of Agira celebrated in June. 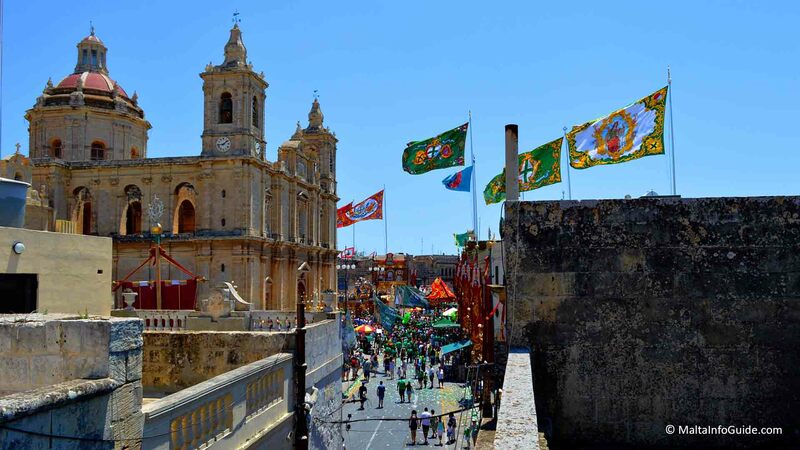 View of the Zejtun church, band clubs, decorations and villagers dressed with the band club colour during the afternoon band march held on the feast day. Village feast activists at the Kercem village feast preparing the final touches to the decorations with wood reinforcement to keep them steadily open while hung on the tall timber poles on both sides of the street. At the village of Qrendi a typical village square with view of the village church. A typical local village setup everything surround the parish church. People like to gather and meet at the local bars. 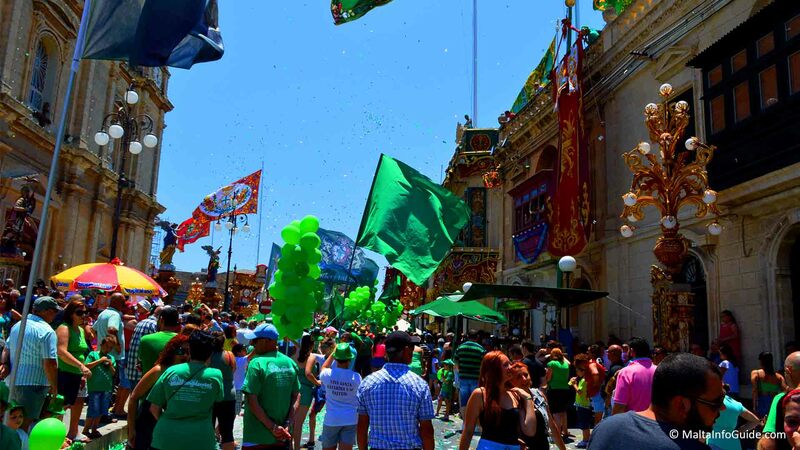 An overview of the Zejtun center with the parish Church surrounding squares all decorated with various colourful columns, banner poles, flags on roof tops. The villagers gathered in front of the church during the Sunday afternoon band march celebrations. 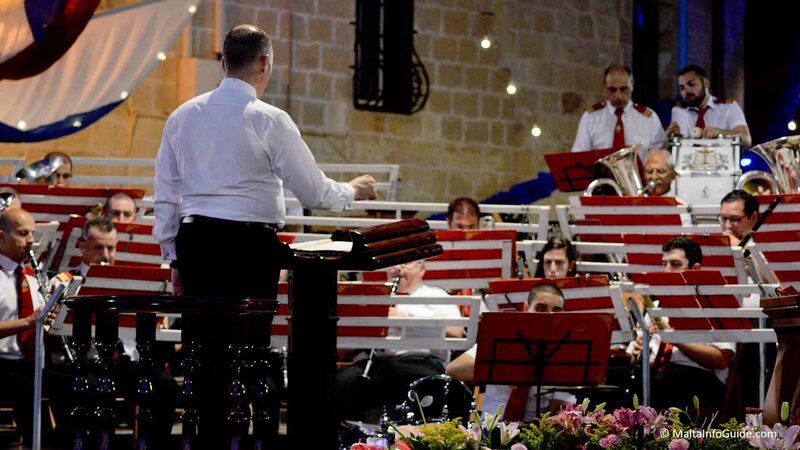 The Qrendi village band club during the evening program on Saturday evening before the grand fireworks display. Almost all villages have their own band clubs. They are very popular and attract a lot of participation from young to old. Young adults both male and females are encouraged to learn music and play a brass instrument free of charge. Then they offer their time to participate in the yearly activities of the band especially during the village feast. 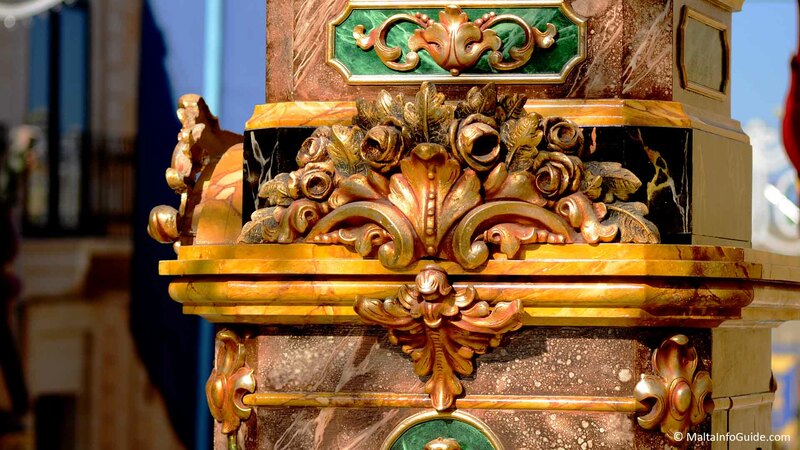 The decorated elaborate columns at the Kercem feast placed on the sides of the streets or at the center of a square change the surrounding environment mingling with the old village building core of our Mediterranean country. The main street of Zebbug Malta. Each village has hanging drapes that dress up several prominent streets especially from where the procession passes or main roads leading to the centre of the village. In Maltese they are called Pavaljuni. Ground mechanical fireworks erected close by to the parish church to be lit up one after the other late in the evening from around 23.00 to 1.00 in the morning. 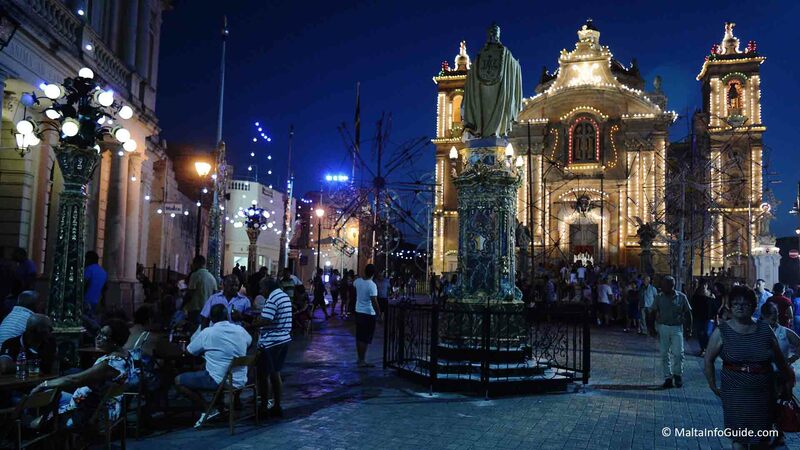 Malta village feasts photos hope to encourage you to visit our local culture and traditions.